So on one such day, I found in my little cold storage, some leftover carrot, beetroot and ivy gourd (tendli), remnants of more ambitious cooking projects. I didn’t feel like throwing them away so I thought of making a simple mix vegetable Kerala style, with a bit of coconut, typically called a ‘thoran’. Vegetables I finely chopped for this kind of preparation, and are steamed or fried, with or without tempering, but always with a bit of coconut. 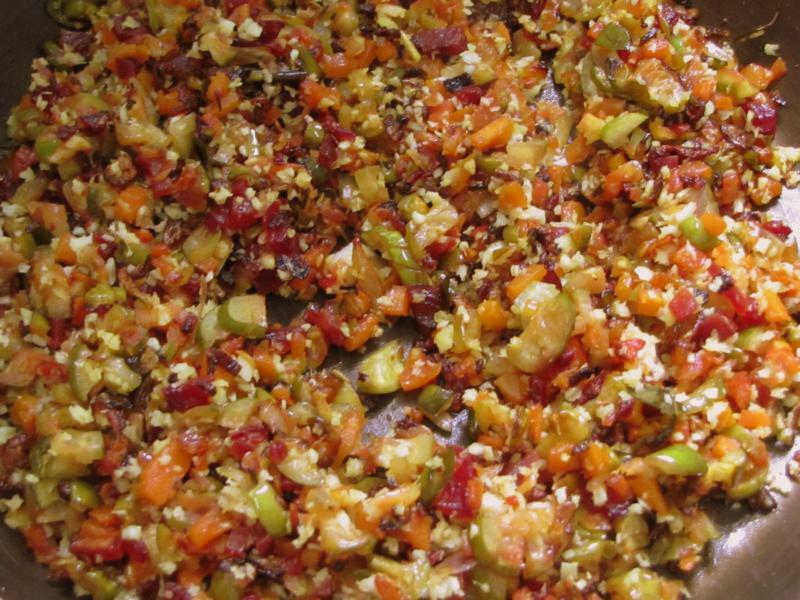 The chopping may be tedious, but a big advantage of finely chopping the vegetables in this recipe, is that most kids can’t really tell what vegetables it contains and you kind of fool them into eating the healthy veggies… that’s a good bit of fooling! 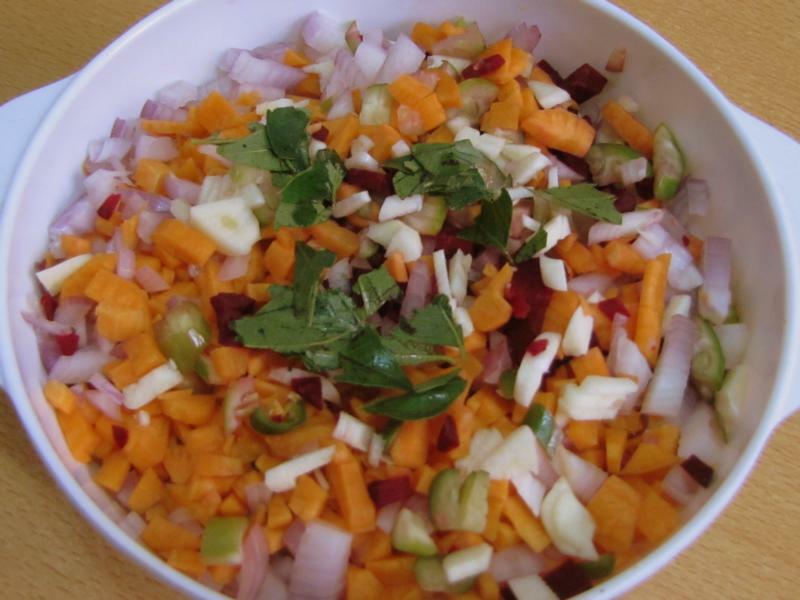 You can always use the food processor for the carrots and beetroot, but I recommend chopping the ivy gourd / tendli by yourself as it lets out water. Some grated coconut, adds a distinct south Indian flavor. Using coconut oil enhances this flavor, but you can use vegetable oil if you prefer. Cook all the vegetables in a little oil on low flame till they turn semi-crisp. Then add the grated coconut. Mix well and it is ready to eat. In a pan pour oil and add the turmeric powder. Then put all the ingredients except coconut. Add salt to taste and mix well. Cook on low flame till the vegetables turn semi crisp and then add the grated coconut. Mix well and take it off the heat after a minute.